Almost all time is spent on creating a streamlined user experience throughout the platform. Striving for relevant data, right context and easy understanding. 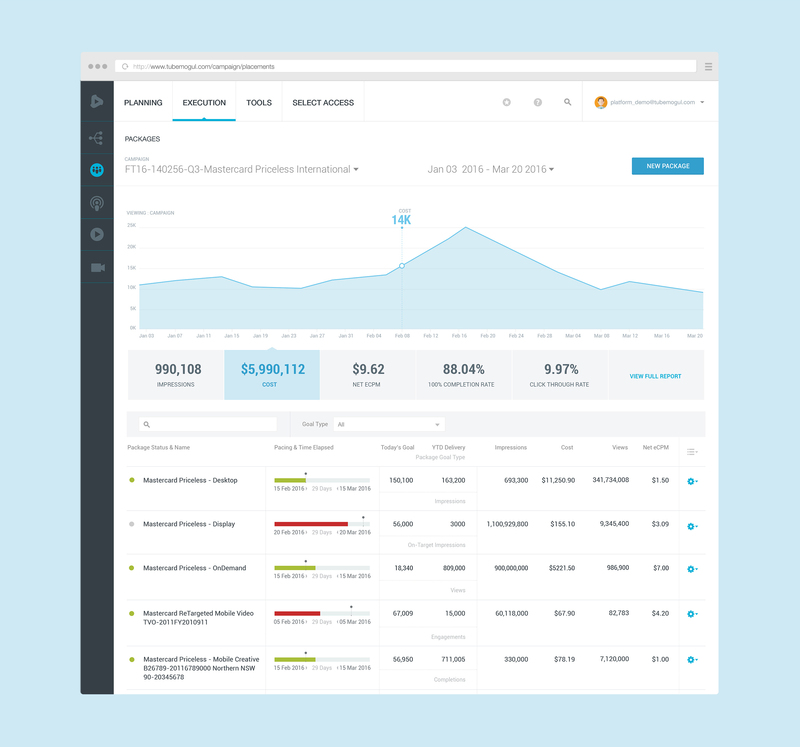 One of the many projects that helped empower our users was the Package Dashboard. Monitoring & tracking performances for placements tied to a common goal was manual and tedious. On average campaigns have 80-200+ placements depending on various clients . The lack of functionality within the platform had users using multiple excel sheets. Our objective was to eliminate excel usage, help track performance within the platform to be successful in reaching their goals. We started research with gathering feedback and identifying pain points. Met with our users to get good sense of their process and workarounds. Next, we identified key product and business kpi's that we would measure success against. This was also an opportunity to create a feature that would set us apart from our competitors. 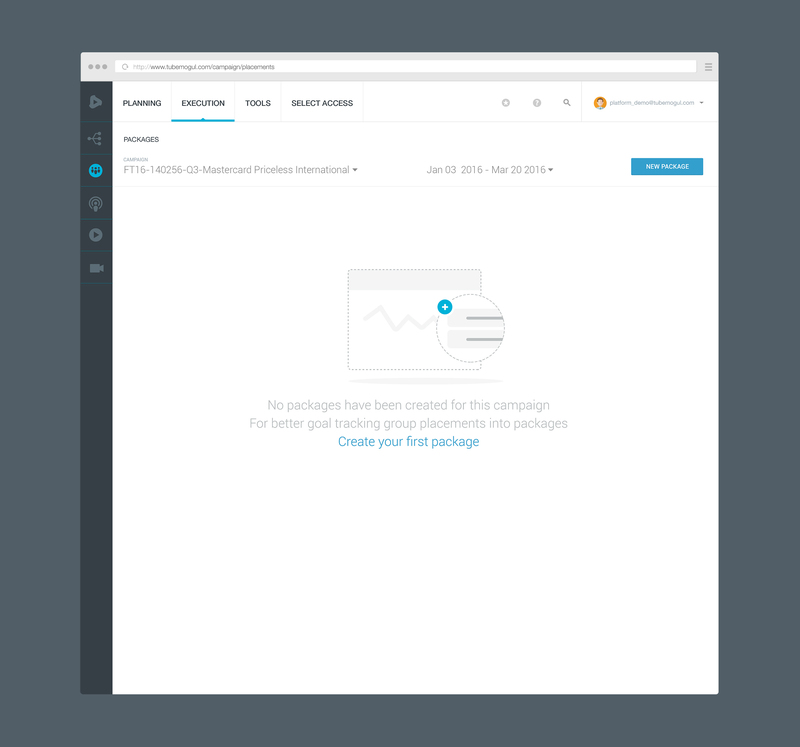 The current platform workflow was also studied to introduce the package workflow. 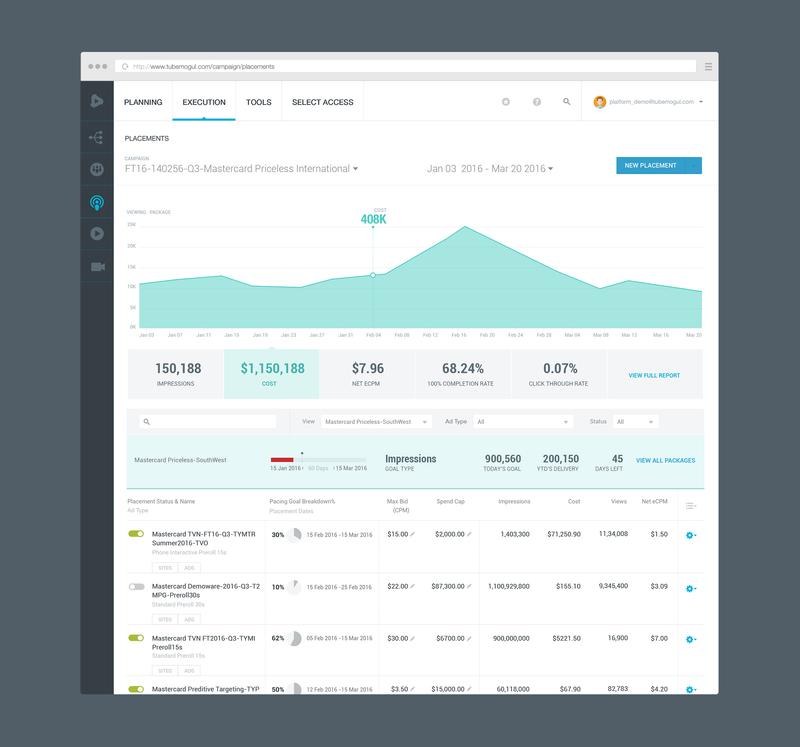 Additionally reviewed current competitor solutions along with dashboards and best practices to incorporate. Since packages was a layer between campaigns and placements. We established that the package user flow had to be similar to the campaign and placement flows. We wanted to maintain familiarity and help promote easy adoption. Existing User Journeys were studied and analyzed. After many iterations and reviews, we decided upon the final flow. The package flow was structured within the application in a way that it could be removed easily, without impacting existing flows. This was incase the feature did not succeed or caused added confusion. Once the flow was agreed upon. We set out conquering whiteboards and sketching and experimenting with layout solutions. In order to eliminate the excel worksheets and provide useful data. We needed to identify what those data points were and how we would present it. After a few rounds of wires and reviews we closed in on 3 layout approaches that would help display our data well. Since the feature was nested between campaign and placements layers. We were limited in our approach and had to get creative within boundaries. People were using excel worksheets so adoption of packages would involve learning curve and time. Packages would help you group your placements towards a common goal and track it easily. This would help users find issues faster and take actionable steps to improving performance and meeting goals. With such task based software within enterprise the focus is always on a functionality first approach. We struggled to edit the data. There has to be a balance between usable, meaningful and information dense. Since ad tech is complex what is relevant changes with each user. It is slow but change it coming to enterprise. Where we realize that diving deep into task based software impacts an employee’s success and in doing so the success of the company. 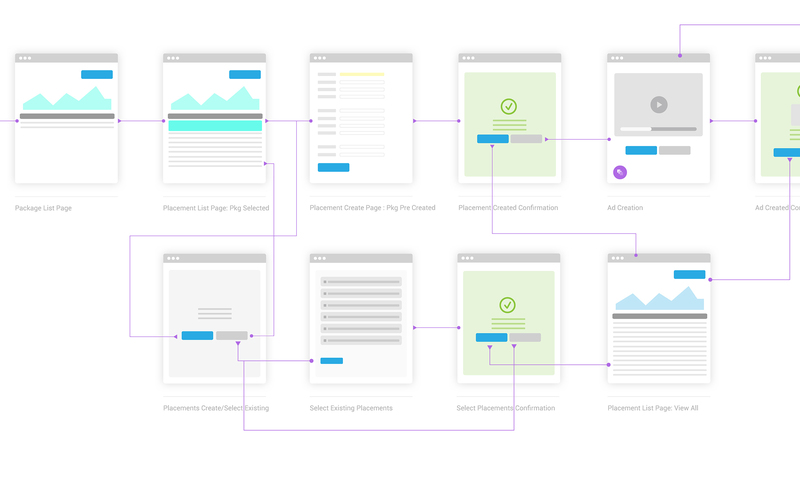 After a few rounds of of wireframing we leveraged our new design pattern library and extended it to create an intuitive and guided user experience for the package dashboard. Like all hypothesis our initial assumptions of what would have been useful changed after testing initial prototypes with our users. The initial assumption that package specific metrics in a card format would be more useful and relevant were proven untrue. This new qualititative data helped us steer our final solution towards a list based approach for better comparison and scale. Testing assumptions early on in the process is absolutely crucial. "Intuitive design is how we give the users new superpowers"